Bethesda’s first ever E3 conference just can’t seem to get any better. Announced alongside Fallout 4 and Doom 4 is Dishonored 2, which will be released sometime in Spring 2016. 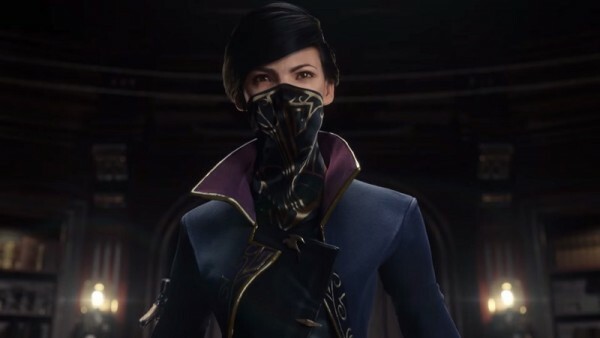 It will feature two playable characters: Corvo Attano – the protagonist of the first game – and Emily Kaldwin, who is all grown-up now. Dishonored 2 is set 15 years after the Lord Regent has been vanquished and the dreaded Rat Plague has passed into history. An otherworldly usurper has seized the throne from Empress Emily Kaldwin, leaving the fate of the Isles hanging in the balance. As either Emily Kaldwin or Corvo Attano, travel beyond the legendary streets of Dunwall to Karnaca – a once-dazzling coastal city that holds the key to restoring Emily to power. Armed with the mark of the Outsider and powerful new supernatural abilities, hunt down your enemies and forever alter the fate of the Empire. It’s interesting how the summary mentions that players can play as either Emily or Corvo. This could mean that Dishonored 2 will feature two separate stories for each characters, but this is merely a speculation at this point, although the prospect of two storylines is pretty exciting; assuming they are both equally as long and elaborated. Just like the first installment, players can complete Dishonored 2 without killing anybody. It will be coming to the PlayStation 4, Xbox One and PC in Spring 2016.